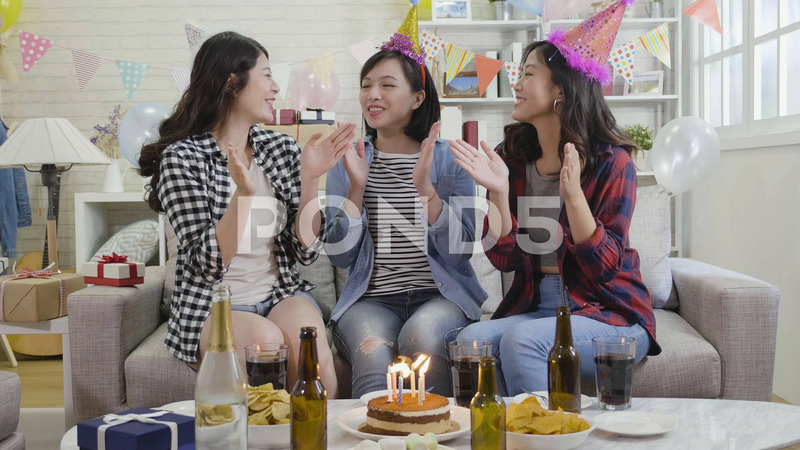 Description: young ladies happily singing songs celebrating birthday at home. house party with burning candles on cake surrounding champagne. joyful attractive asian women clapping hands on sofa indoor.